Heat oil in pan, add cumin seeds wait for sputter and add green chillies and shallots sauté it till translucent. Now add green leaves and sauté it for 2-3 minutes on low flame and without cover the pan. Add salt to the mixture and cool it completely and then grind into smooth paste with little water. 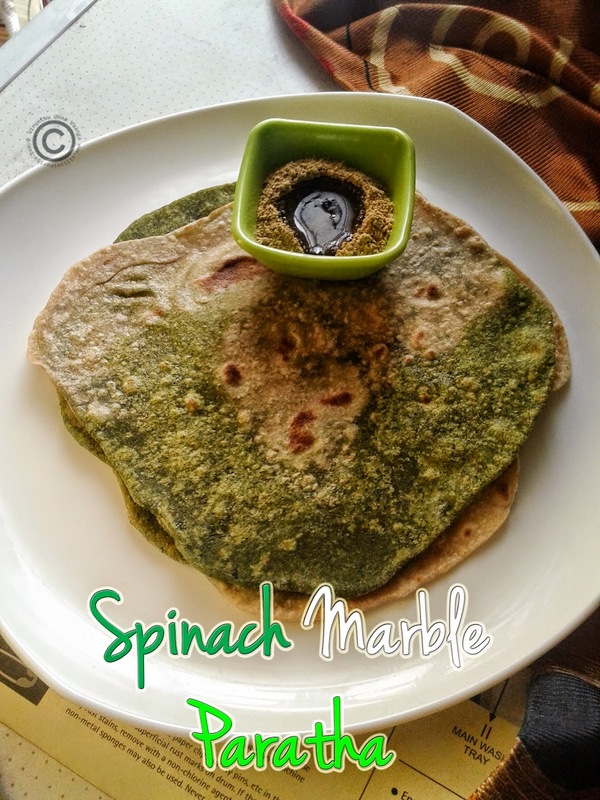 Now take a wide bowl, add wheat flour and pour the green puree, garam masala powder and pepper powder little by little and knead into pliable dough and keep it aside for 30 minutes by cover with damp cloth. In another bowl, add wheat flour, oil, salt and water knead into pliable dough and cover with the damp cloth for 30 minutes. Now divide into two equal portion, and mingle it as shown in the picture. Roll the ball using rolling pin to get marble paratha. Heat dosa tawa, put the paratha and cook it on both sides with drizzling oil. 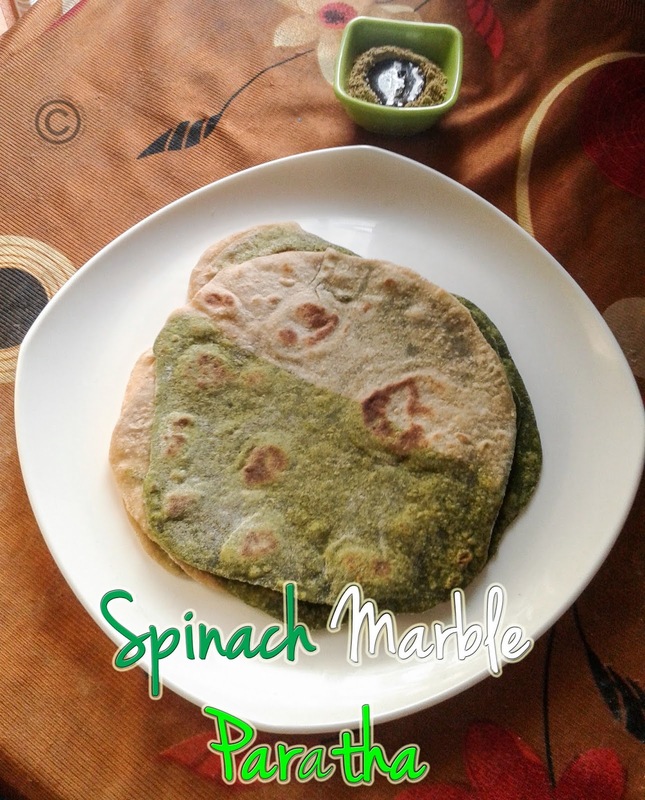 You can do only spinach paratha if you don’t want marble. 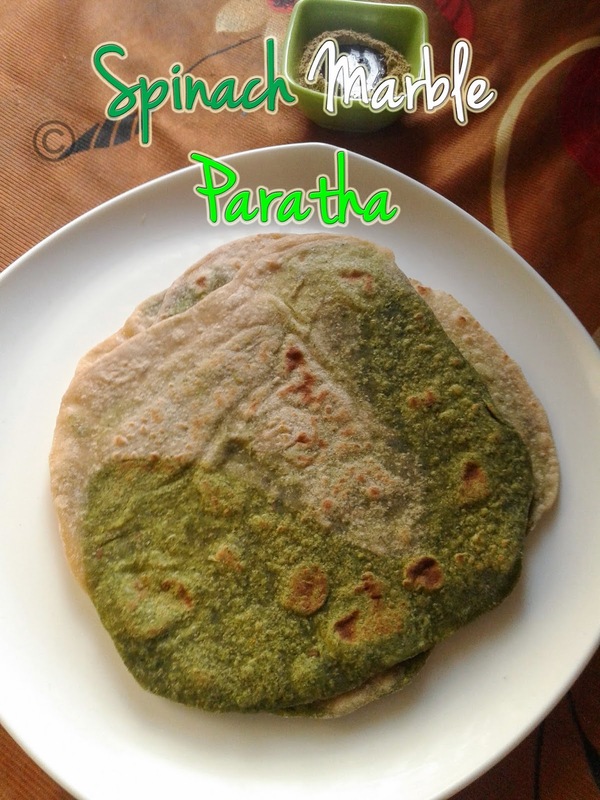 You can replace any other green leaves to make the paratha.